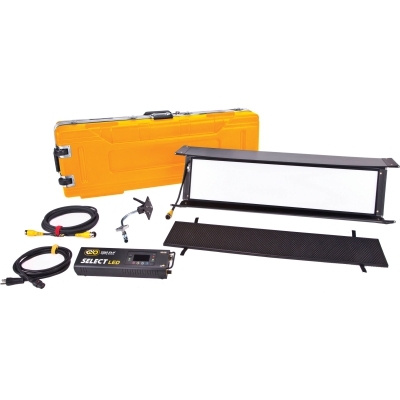 The Kino Flo Select LED 30 is the latest in LED technology from Kino Flo Lighting from Hollywood. 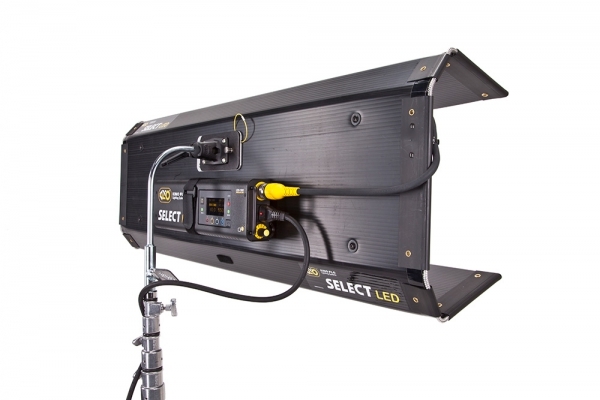 Featuring a detachable LED controller and 25ft head cable, the Select LED is at home on location or in studio. The 3ft form factor provides a wrapping soft light that is pleasing to skin tones. With a adjustable color temperature from 2700K to 6500K and plusgreen / minusgreen control, you can achieve the perfect color match with other light sources. Like Kino Flo 4x4 Fluorescent fixtures, the Select LED unit (just 3" deep) can be removed from the fixture to fit in small spaces.